It’s time to report your 2018 infectious waste numbers to the WI DNR. You can access the link here. 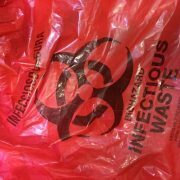 March 1, 2019 is the deadline to submit your Wisconsin facility’s 2018 infectious waste numbers. For those who generated more than 50 lbs. of sharps and medical waste in a calendar month during 2018, this task should go more quickly now that the WI DNR has automated the process. If you did one before, a lot of the electronic fields will already be filled in for you. Be sure to check them and make any necessary changes. Does your healthcare facility need to file an infectious waste annual report? State law requires businesses and institutions to separate and manage infectious waste safely. It requires hospitals, clinics and nursing homes to implement plans to reduce medical waste. To verify compliance with these requirements, infectious waste generators must file a report regarding waste sent off-site for infectious waste treatment. This is also know as the “Off-site Treatment Report.” In addition, hospitals, clinics and nursing homes must file the “Medical Waste Reduction Progress Report.” The DNR’s infectious waste annual report combines both reports in the same online form. To determine whether your facility must file the infectious waste annual report, go to dnr.wi.gov and search “infectious waste.” If you have questions, please contact Ariana Mankerian (608-266-6965). 3) Enter your password. Can’t remember it? Don’t worry. You can create a new one. Just click on the green button and follow the instructions in the email that will come your way. If you are a generator of infectious waste in Wisconsin and have not yet received an email from the DNR notifying you of instructions to ensure everything gets filed correctly, be sure to email them at DNRMedicalWaste@wisconsin.gov. This is especially important if your facility has a new contact person. 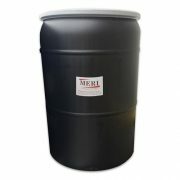 Madison Environmental Resourcing, Inc. (MERI) will offer a RCRA/DOT Hazardous Waste Training Certification Class 5/14/2019. It will be from 9:00 a.m. until 3:00 p.m. at MERI’s facility at 800 Uniek Drive in Waunakee, WI. Hospital, Medical Clinic, Facilities, Environmental Service, Plant Operations, and Safety Department employees should attend, especially those in need of RCRA/DOT Certification. Click to register here or email this HAZTRAININGFORM to info@meriinc.com if you’d like to be added to the class list. Check-In: 8:45 a.m. – 9:00 a.m.
Class: 9:00 a.m. – 3:00 p.m. Cost: $250 person. Continental Breakfast, Lunch and Afternoon Beverages will be provided. Certification: All who successfully complete the course test will receive their certification at the end of the day. Payment: USE THIS LINK TO PAY BY PAYPAL OR CREDIT CARD. Invoices can be sent ahead of the training day by contacting info@meriinc.com and noting the name(s) of those attending from your organization. Or, payment can take place on the day of the training. Make checks payable to MERI. Receipts will be available. This RCRA compliance course is for large and small quantity generators. The Resource Conservation and Recovery Act (RCRA) requires that facility personnel be trained to “perform their duties in a way that ensures the facility’s compliance” with hazardous waste regulations. To run the event we will need a minimum of 10 people in attendance. Spread the word so we have a good attendance! Always wonder where your medical waste goes after it leaves your facility? 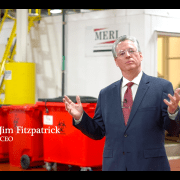 Watch our new video for a behind the scenes view of Madison Environmental Resourcing Inc.
MERI CEO Jim Fitzpatrick shares the history and mission of MERI, and how our team strives everyday to make your medical waste disposal worry free. See what happens when sharps, biohazard and infectious waste goes through MERI’s microwave processors, getting disinfected and shredded to a fraction of its original volume. Also, learn how its destruction is properly recorded using MERI’s sustainable electronic manifest system. Finally, check out MERI’s nationwide mailback kit program, which provides an array of easy disposal options for sharps and other regulated medical waste, including trace chemo and amalgam. Most importantly, if you like our video, we’d appreciate a thumbs up on Twitter …and feel free to share it with others on Linked In!